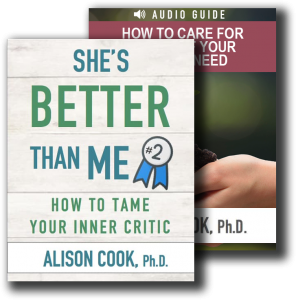 Finding Courage When All You Feel is Fear - Alison Cook, Ph.D.
Did you know it takes fear to have courage? A few years ago, I found myself facing a fearful set of circumstances. I knew God was calling me to do something that was going to be extremely difficult for me. I needed to take a stand that pushed against the grain of nearly every part of me—in particular, the parts of me that don’t like conflict. In preparation for this event, I started a deep-dive study into the life of Moses. I wanted to find out how such a fearful man gained courage. Moses would have done anything to get out of God’s call on his life. In fact, when God called him to step out in faith, Moses came up with every excuse he could think of not to: he wasn’t a good enough leader, he didn’t want to be rejected, and he even mentioned an issue with public speaking (Ex. 4). How did God answer him? He gave him practical help in the form of his brother, Aaron. And most of all he gave to him the gift of his presence. God responded to Moses’ fear, not with a platitude or a pep talk, but with a promise to stay near: “I will be with you” (Ex. 3:12). When faced with a difficult challenge or task, how do you muster up your courage, when all you can feel is fear? 1.) Give voice to your fear. Fear in and of itself is an important emotion. It can alert you to dangers to your physical and emotional safety. And when God calls you to do something that’s hard, he doesn’t promise that it’s all going to be smooth sailing. Don’t deny your fear or try to shove it aside. It’s an important part of who you are. But don’t let it lead, either. Giving voice to your fear allows you to honor it by preparing yourself emotionally, spiritually, mentally, and physically. 2.) Identify your allies. In response to one of Moses’ fears, God pointed him to his brother, Aaron, as a faithful helper and companion. As you consider the hard thing you have to do, who are those people who will pray for you and stand by your side no matter what? Let them know what it is that you are facing and ask for their help and support in specific, practical ways. 3.) Take action, regardless of what you are feeling. I love the story of church reformer, Martin Luther, going before the Roman Emperor. Luther’s refusal to cave in to the political powers of that day has been mistakenly revered as one of defiance. A close examination of the text of his speech reveals that Luther likely stood by his convictions. . . with fear and trembling. He simply stated that he couldn’t recant, closing with the words: “God help me.” Luther knew that his refusal to acquiesce to the political leaders would likely land him in prison—and he was frightened. It didn’t matter. He stood his ground, spoke the truth, and changed the course of history. What courageous act is God calling you to this week? If you’re fearful, let that fear prompt you to invite Jesus to draw near. Without your fear, you wouldn’t have the opportunity to rise above and show God that he matters more to you than your circumstance. When befriended, fear can lead to an abiding dependence on Jesus and a deeply satisfying intimacy with him. Honoring your fear by saying simply “I am frightened,” is a powerful statement of faith when you turn toward God anyway. As with Moses, God may not take away your fear. But he will strengthen you with courage as you trust in him.